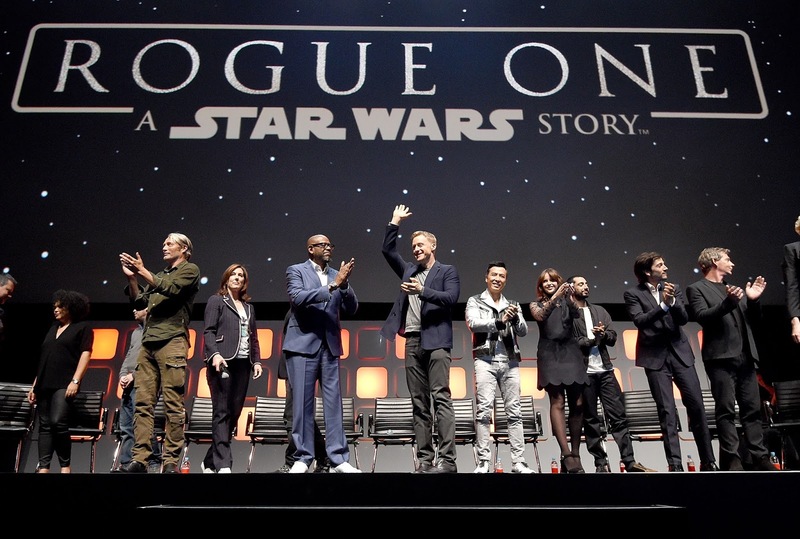 Just three days ago, Lucasfilm and Disney presented the Rogue One panel at Star Wars Celebration London. Celebration goers and online viewers were treated to a panel which would produce shocks, gasps and applause, as well as perplexity, bemusement and a whole lot more to contemplate over. Initially, I described the panel to the head writer of the Star Wars Underworld, Dominic Jones, as 'weird' because I struggled to grasp the degree to which I actually felt the panel was satisfying or not. I questioned myself about the extent to which the panel really meet my expectations. The answer to that question is far more complicated than I initially felt it would be. The fundamental factor which influenced my opinion, I believe, was the high expectations I had going into this panel. Rumors had circulated that a three-minute trailer would be screened at Celebration and I went into the Rogue One panel with a feeling of similar anticipation as I did to 'The Force Awakens' panel in Anaheim last year. The singing of the French national anthem, which was given in respect to those who tragically lost their lives in Nice on Thursday. Content wise I believe there was alot to feel satisfied about the panel. On that front, I felt Disney did their job well and catered to the interests of their target audience. The first half of the panel, in fact, was near on perfect and there were obvious parallels which I drew from the visceral reactions I had in the Rogue One and Episode VII panels. Regrettably however things turned a little bit for the worst from the midway point onwards. In the middle of what would be Celebration's 'first' screening of the behind the scenes reel, the video cut off midway. The technical fault certainly provoked an interesting reaction, first bemusement then laughter. To be fair to Gwendoline Christie, she handled the situation well and, after she was duly prompted, she continued with interviewing the different cast members who were on the panel. It brought a bit of a stutter to proceedings, but it didn't dampen the spirits of fans who were watching on the ground or online. The second issue of note happened at the very end of the panel. Lucasfilm President Kathleen Kennedy was made to look rather foolish on stage, when she told panel attendees that they would have to turn their phones off for the duration of this next video they were about to see: a new Rogue One trailer. Instead of this, attendees were treated to watch the Celebration 'sizzler' reel for the third time in the space of this one hour panel. Many fans initially believed that the 'sizzler' reel would be the 'exclusive' content that she was referring to and it looked for a moment like we wouldn't get to see a new trailer, which would have been incredibly disappointing. Thankfully this wasn't the case, as Kathleen Kennedy came back out from behind the stage curtain to inform us all that we would get to see an 'exclusive' Rogue One trailer. Excitement pervaded across the theatre once again, as fans cheered and roared at the announcement made by Kennedy, which was soon followed by the visual cue of the Lucasfilm logo and the start of the trailer. The minute long trailer played and that brought a conclusion to proceedings. Unfortunately I have to highlight one particular moment which was most certainly an 'ugly' and horrific blunder on the part of Lucasfilm. Gwendoline Christie interviewed Jiang Wen, who will play Baze Malbus, and managed to reveal a huge spoiler of the upcoming film. This revelation left Lucasfilm with alot of egg on their face and the fans bewildered at what they heard. Jiang made it clear at the start of the interview that English is not his first language and he tried his best to speak it. However, it was pretty clear from those who watched it on the live stream and in the stage audience that he had unveiled what Lucasfilm hoped would be a concealed spoiler. Personally, I believe this is why the Rogue One panel cannot be watched back online on the Star Wars YouTube channel, as this moment would receive a substantial amount of media coverage and accentuate the faux pas that was made. I will have to admit that this mistake was definitely not Lucasfilm's finest hour. 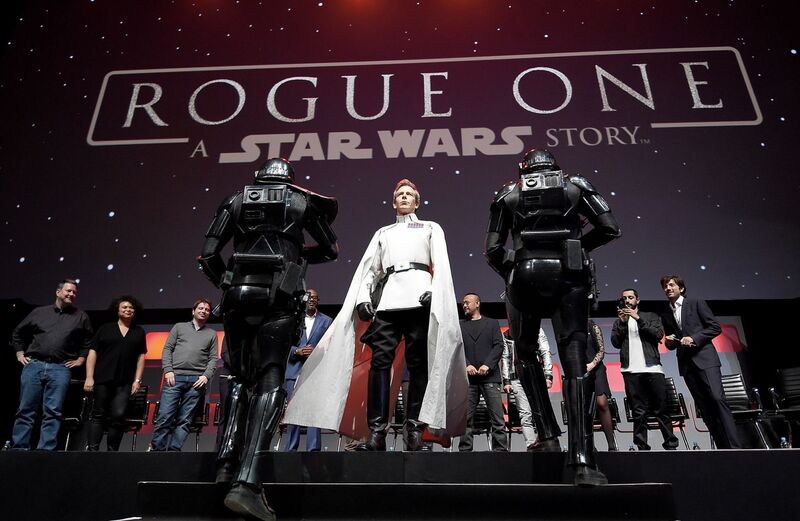 All in all, I estimate that this article has shown people that there were highs and lows to the Rogue One panel. As a Celebration attendee, I recognize that my view of the panel will starkly contrast with the perspectives of online viewers, Disney executives, media outlets and other members of the Hollywood film industry. From my perspective, the principal flaws centered around the technical faults in the panel, but other quote on quote 'blunders' in the panel included unintentional spoiler reveals and structural issues of the panel itself. Notwithstanding these lows, one should not detract away from the almighty 'good' that came from this panel. We got to learn more about the backstories of the cast's characters, we were given a free official poster, we were able to watch some content 'exclusive' to Star Wars: Celebration and experience Ben Mendelsohn in costume, and in character, walk onto the stage (one of the more surreal moments of the panel). There was the good, the bad and the ugly with the Rogue One. It will remain to be seen whether, on balance, we will remember this panel fondly or with disappointment and a feeling there it was rather anti-climactic. I really think if Gwen would have been quick on her feet she could have used the fact that he didn't speak English to move away from his mistake but instead she freaked and started shouting leave it there. I would have said that what he ment to say was he does something and I do it bigger using the fact that he not speaking English made him say did instead of does. Bam no one would have thought anything else especially since it wasn't really clear at first what he trying to say.